William Coxe’s family connection to the University of Pennsylvania is unusually strong. William Coxe was the son of Colonel Daniel Coxe, Jr., the first Grand Master of Masons in the colonies, and the Quaker Sarah Eckley. 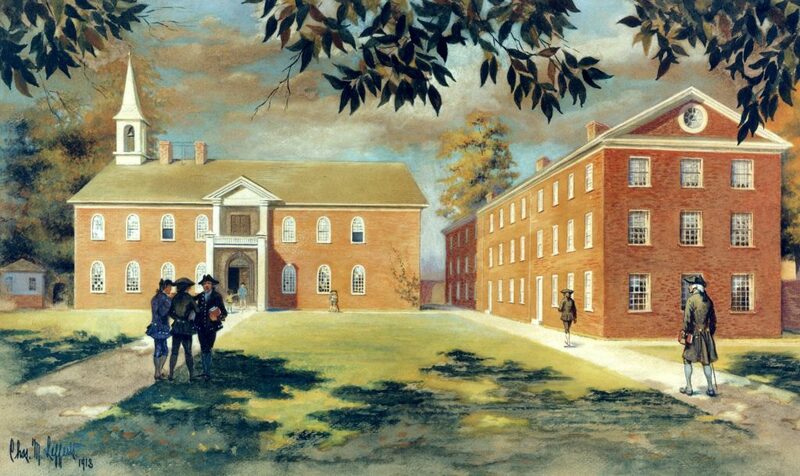 In 1750 his brother John Coxe was one of the first donors to the Academy of Philadelphia. Another brother, Daniel Coxe was the grandfather of John Redman Coxe, M.D. 1794 and professor in Penn’s medical school. William Coxe himself was a trustee of the Academy and College of Philadelphia from 1759 to 1771, serving as treasurer in 1768 and 1769. William Coxe married Mary Francis, the daughter of Tench Francis, Penn founder and early trustee. William and Mary Coxe had thirteen children, including Daniel Coxe, a student in the Academy from 1752-1753; John D. Coxe, A.B. 1769 and trustee from 1806-1807; and James Coxe, A.B. 1790. Many of William Coxe’s descendants attended Penn, including Eckley B. Coxe, Jr., A.B. 1893 and president of the University Museum from 1910-1916.